Steelers for Pro Bowl..Vote Now! 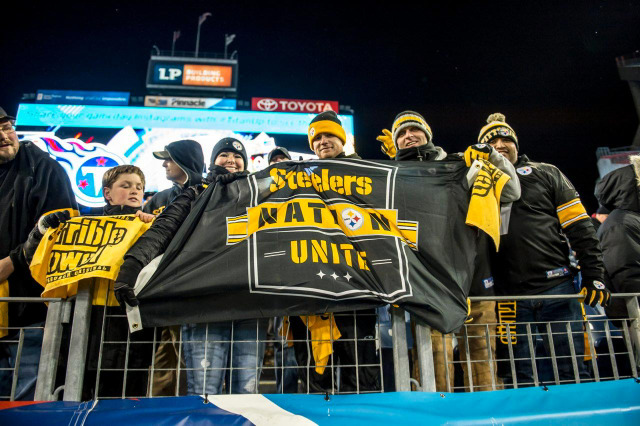 | "IT'S A STEELERS WORLD"! 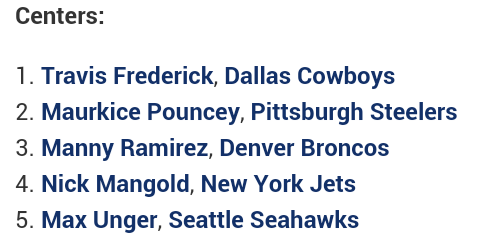 Steelers for Pro Bowl..Vote Now! 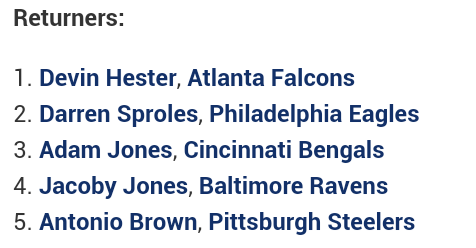 Below are the Pittsburgh Steelers players in the running for a spot on the NFL Pro Bowl roster. Be sure to submit your votes to make sure your favorite players get it. 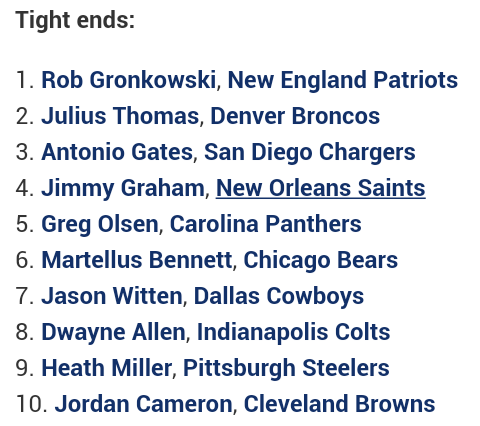 Ben Roethlisberger at #6..let’s get him up higher people. 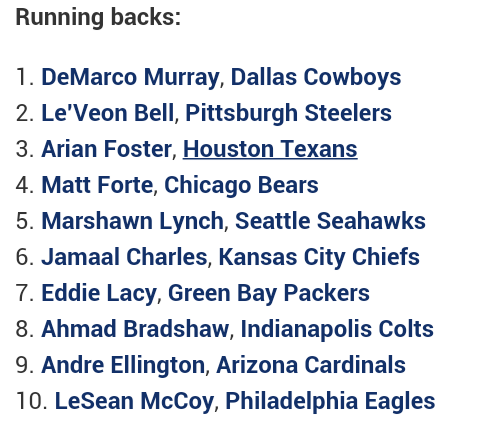 LeVeon Bell at #2..is that good enough? It’s a spot guaranteed, but more votes couldn’t hurt. “C’mon Man”! Is there ever any doubt who will be a lock for the #1 WE spot? Think not. “HEEEEAAAATHHHH”! 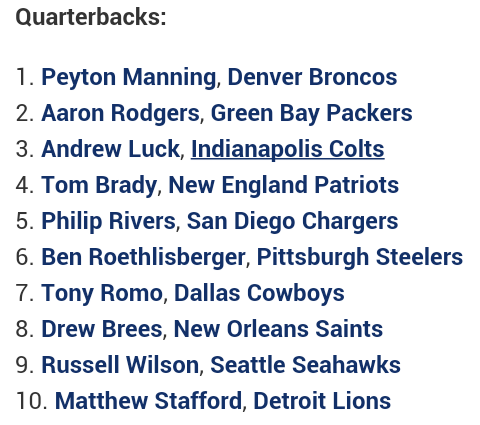 At #9? Definitely not good enough. Get those votes in! David DeCastro..#7. He’s done an excellent job doing his best to protect Big Ben. If he gets in is up to you. 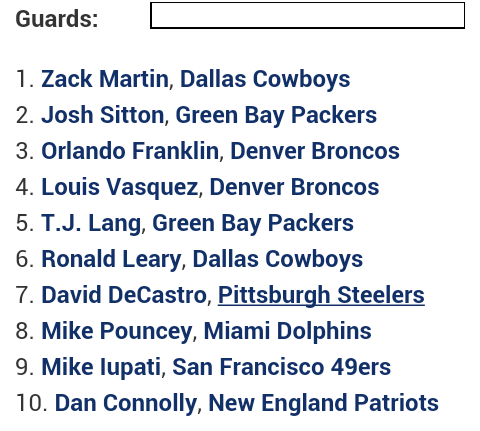 Maurkice Pouncey..#2. As a 2nd string role under a Cowboy? Think not. Check that box! Antonio Brown..once again! 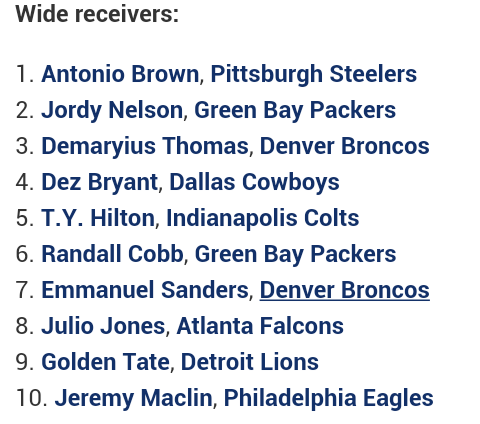 But him at #1 in the WRONG position solidifies his spot.